Early voting begins two weeks from today. Do you know who your candidates are and where they stand on the issues? Do you know which ballot proposals you will see when you step into the voting booth? Family Council is shipping thousands of printed copies of the Arkansas Voter’s Guide statewide ahead of the election in November. You can request free copies of the guide by going to ArkansasVotersGuide.com. So far we’ve shipped nearly 40,000 printed copies of the guide, and we have about 10,000 left. If you haven’t already ordered copies of the guide for your family, your home school group, your church, or your friends, don’t wait. Order them today at ArkansasVotersGuide.com. Since 1990 Family Council has produced the state’s leading nonpartisan voter’s guide. We survey the candidates on issues like school choice, marriage, abortion, illegal immigration, and other topics, and we published their responses in print and online. Our voter’s guide tells you who the candidates are, how to contact them, and where they stand on a number of important issues. We also provide summaries of the all the issues that will appear on your ballot. You can order free copies of the guide right now at ArkansasVotersGuide.com. We can only provide printed copies of the Arkansas Voter’s Guide while supplies last, so don’t wait. The Arkansas Voter’s Guide is completely free, but you can help support it by making a generous, tax-deductible donation to Family Council today. Click here to donate. 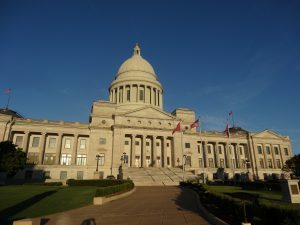 LITTLE ROCK, ARK.—On Thursday Family Council released its voter’s guide for the 2018 Arkansas General Election. The following is a press release from a partnership of statewide faith leaders and community leaders. 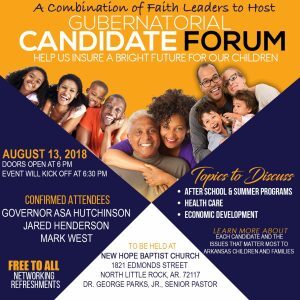 LITTLE ROCK, ARKANSAS— All three candidates for Arkansas Governor have confirmed that they will attend a gubernatorial community forum in North Little Rock on Monday, August 13 at 6:30 p.m. The forum, which will focus on issues important to families and the future of Arkansas children, is sponsored by a combination of statewide faith leaders in partnership with the Arkansas Out of School Network and other community groups. “As faith leaders we feel it is important for us to come together and be advocates for our children and those who can not speak loudly for themselves due to lack of resources or lack of access”, explained New St. Hurricane Baptist Church Pastor Derick Easter of Pine Bluff. The 90-minute forum, which will allow community members to become more informed about the candidates and their platforms, will be held at New Hope Baptist Church, 1821 Edmonds Street, beginning promptly at 6:30 p.m. Doors for the event open at 6 p.m. 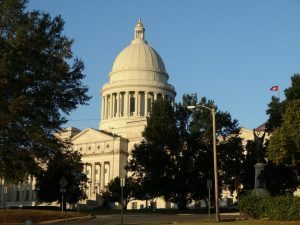 Incumbent and republican candidate Asa Hutchinson, democrat candidate Jared Henderson and libertarian candidate Mark West will discuss pre-established questions from topics such as afterschool and summer programming, health care and economic development. Some supporting partners for the event include the Arkansas Out of School Network, Regular Arkansas Baptist State Convention, Consolidated Missionary Baptist State Convention of Arkansas, Arkansas Family Council, Faith Voices of Arkansas, Arkansas First Jurisdiction Church of God In Christ and Full Gospel Baptist Church Fellowship. Early voting begins October 22 for the gubernatorial election, which will be held on November 6.